Amid the incredibly stiff competition seen today, it is more important than ever to have a brand that captures the imagination and emotion of your core market. Mere differentiation isn't enough. Companies today need to create brands that their customers can develop passion for. They need to create digital experiences. 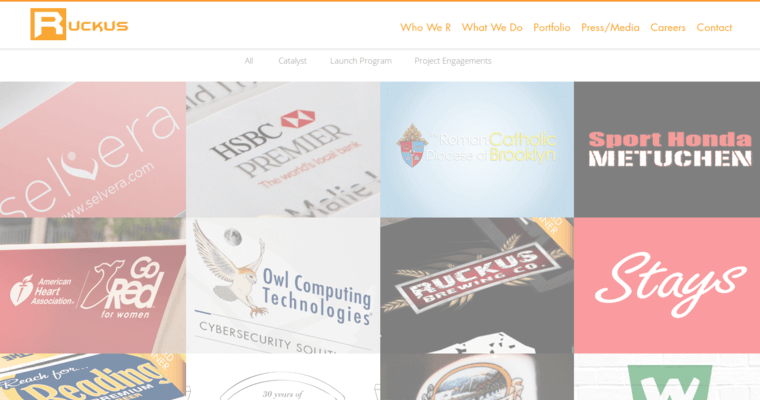 Ruckus Marketing is one of the nation's leading branding, digital design and search engine optimization firms. Through years of experience and hundreds of satisfied clients, they have proven time and again that they have what it takes to create that bond-forming digital experience that will keep brands in the fore of customers' minds. 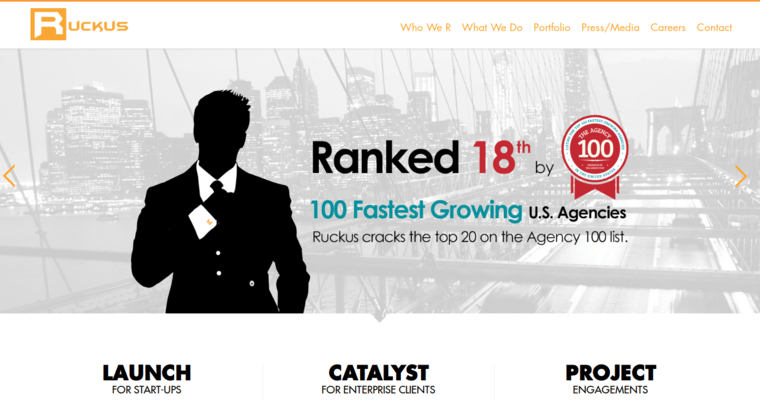 Through the use of extensive testing and analysis of hundreds of campaigns, Ruckus Marketing has developed its own internal framework for tailoring the most effective marketing campaigns. These are proven, effective methods based on real world successes. 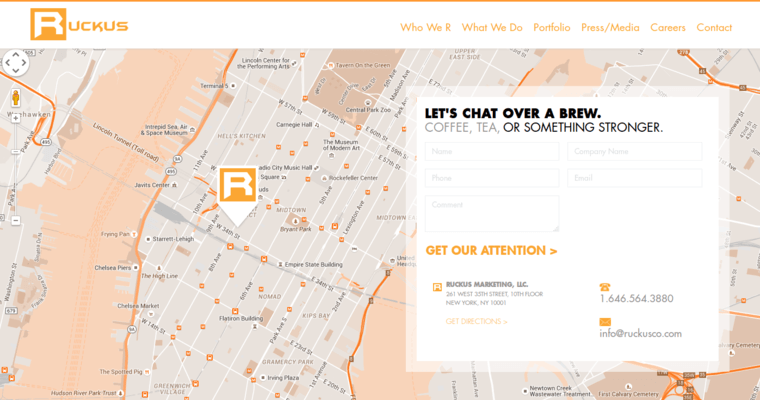 Ruckus Marketing can take your brand to the next level.